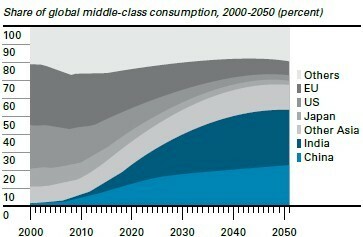 If you are under the age of 50 you should be concerned about China from an economic and global power standpoint. Some believe China is seeking peace with the rest of the world. Based on their long history, I am not convinced. For China long term is hundreds of years and for the United States it is the next election cycle. China's focus is always on the long term. Much of this post is drawn from a book, On China, written by Henry Kissinger, the Secretary of State under President Nixon and a research paper of the National Intelligence Council titled Global Trends 2030: Alternative Worlds. Whether the future will prove China's desire for peaceful co-existence depends on whether its middle class will sufficiently benefit from economic growth and not allow their leadership to throw it away by creating enemies with trading partners. This requires the country becoming more democratic and less inclined to be a threat to the remainder of the world. The jury is still looking at the evidence. To complicate the matter further, China's leadership class is becoming more corrupt daily. Per the NIA's graph to the left, we know economic power is slowly shifting eastward led by India and followed by China. China's motives are not clear. They are a proud people and historically consider their country to be "the Middle Kingdom", meaning they were the center of the world and all other nations were inferior to China. This is a view that promotes a quest for dominance. Whether China will remain peaceful depends on their motives and history does not point to a necessarily tranquil coexistence. Much of my caution reverts back to the Chinese ritual of kowtowing and its counter part "five baits". No other country can match their claim of such a long continuous civilization which dates back three centuries before Christ. The Chinese Emperor was thought to be head of a universal political hierarchy. Much of the rest of the world, especially the eastern world, agreed with this assessment. During the Song Dynasty from 960 to 1270 China had the strongest navy in the world. China could have used their superior naval power to conquer other countries and colonize them but instead they provided lavish gifts to the rulers of these other countries and invited them to travel to China. There they were expected to acknowledge the superiority of Chinese culture and "kowtow" to the Emperor while acknowledging his superiority. The reason China was not interested in conquering other lands is they saw them as being inferior so why bother. 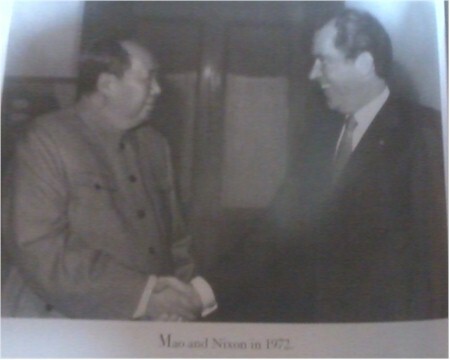 China's motives for beginning discussions with Richard Nixon in 1972 was to get added protection from a possible assault by the USSR by partnering up with the United Sates. We in turn were happy to have China on our side when it came to our arch enemy the USSR. The question for us today is whether China indeed is a trusted trading partner or have we been hooked by the five baits over these past forty years. Remember, China's time horizon is much longer than ours. While China was lending us their money by purchasing U.S. Treasuries were they really implementing their five baits strategy? I believe we are becoming ally's and the growing middle class will be demanding more freedoms by their government but now is not the time to let our guard down.